Currency Exchange - at home or when you arrive? 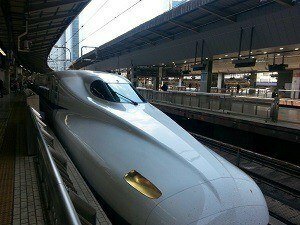 We have introduced our Japan Rail advance ticket purchase service for people that want to buy their Japan train tickets before they arrive in Japan. 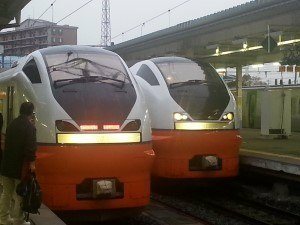 We believe it is a valuable service for some people that want the convenience and certainty of train reservations. Orders for ticket purchases need to be made more than seven days in advance. Email us at BuyJRtickets@JapanCustomTours.co.nz with your ticket request. For many visitors to Japan the Japan Rail Pass provides a great way to explore the country as it allows travel on the bullet train, express and local trains for the duration of the pass. However, the rail pass does not suit everyone as it does take time to organise, exchange and use. Sometimes, especially for busy travel periods, you might simply want to secure tickets in advance to be sure you do not miss out on a seat. 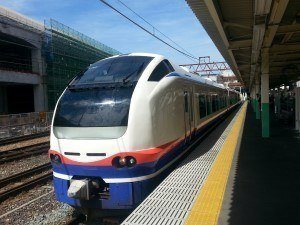 In other cases, the Japan online train booking system or booking direct with Japan Rail may not be a practical option because not all of the trains are covered by those systems. Here at Japan Custom Tours we use the train system extensively and use our knowledge to pick routes and options that are convenient and may save you money compared to simply buying individual tickets when you arrive in Japan or using another third-party site. We do charge a fee for our service, and that covers our costs covering our time determining the best option for your travel, physically purchasing the tickets and the payment fees charged for the credit card payment. To be clear, most people visiting Japan can buy tickets directly and that is cheaper than having us buying tickets on your behalf. Our service is for people that choose not to stand in line or want to secure seats ahead of time. Having someone buy tickets for you is not the cheapest way to get tickets for the JR trains, but it is also not the most expensive either. The actual cost of the tickets that we purchase will be the price charged to us by Japan Rail. We charge a service fee on top of the ticket price of JPY1,500 per ticket. A minimum fee of JPY3,000 applies. For postage to your accommodation/hotel in Japan, free. For courier to your address overseas via JapanPost Express Mail Service is JPY1,500. As part of of our service we can also supply the IC cards that are used around Japan. When ordering your JR tickets, you can add SUICA cards to your order and nominate the amount of credit to have pre-loaded on the card. Typically this would be JPY1,500 or JPY4,500. SUICA (and PASMO) cards have a JPY500 deposit, are refundable and the credit remains valid for up to 10 years. For example, to add a SUICA card with JPY4,500 of stored value to your order, the cost will be JPY5,000 as it includes the deposit. Note: We are only able to supply adult SUICA cards as a child card requires proof of age (the physical passport, not a copy). Number of people (adults, child). Preferred departure time or arrival time. Class of service; this will usually be ordinary reserved seating, but "Green Class" or non-reserved seating is also available. We will calculate the total cost and and determine the train scheduling based on your request. We will advise you by return email of the total cost, or if there are problems with the proposed schedule. We can accept payments via PayPal and once payment is received, we will purchase the tickets. Tickets can be purchased one-month in advance, so if you order more than one month in advance, the actual purchase will not be made at that time. Once the tickets are purchased they will be sent to your nominated address. If for some reason we are unable to secure the tickets as agreed, we will refund your payment. The pricing in the following examples are from Hyperdia, an online route planning tool. With public information, the pricing is very transparent. Request #1: Tokyo to Kyoto and then Kyoto to Hiroshima (on a different day), reserved shinkansen seating for two people, delivery to a hotel in Japan. This is two segments for two people. The Tokyo to Kyoto ticket cost is JPY13,910 per person * 2. The Kyoto to Hiroshima ticket cost is JPY11,410 per person * 2. There are a total of four tickets; JPY1,500 for each ticket. Total fee JPY6,000. Delivery to address in Japan, free. Request #2: Tokyo to Kanazawa and then Kanazawa to Hiroshima (on a different day), reserved shinkansen seating for one person, delivery to an address in England. From Kanazawa the journey is on the Thunderbird express train with a transfer at Shin-Osaka to the shinkansen. Even with Kanazawa to Hiroshima requiring two trains with a transfer at Shin-Osaka, it is still a single ticket. Therefore, a total of two tickets for one person. The Tokyo to Kanazawa ticket cost is JPY14,120 per person. The Kanazawa to Hiroshima ticket cost is JPY15,990 per person. There are a total of two tickets; JPY1,500 for each ticket. Total fee JPY3,000. Delivery to address in England, JPY1,500. As part of our regular tour business we buy a lot of rail tickets, do schedule planning and actually travel the country. We are familiar with the issues people might encounter and build in appropriate transfer times and can choose travel options that might not be offered by the route planning tools. We are also familiar with the time taken to actually buy tickets, standing in line at ticket offices and we will physically visit our local ticket office to buy the tickets before sending them to you. While our main tour business is registered in New Zealand, we also operate a Japan company registered in Japan and we are physically based in Tokyo. We run our two websites side-by-side with the same content, but for historical reasons we have ".nz" email addresses.